We also provide loft cleaning and loft clear-out services, insulation, roof and wall thermal barriers, safety rails and balustrades and loft safety working platforms for access to service equipment in your loft such as Heating Boilers, Water Tanks, Audio and Visual Systems, Computer Networks and Solar PV units. We install fixed location easy stow-away aluminium and wood loft ladders, concertina and telescopic ladders. They are fully automated and starting from unlocking the hatch to full extending out the ladders. A luxury or keeping up with the Jones's? We are approved installers of LoftZone StoreFloor the 270mm raise three component stilt and beam loft boarding sub-frame to help raise your storage floor above your insulation to avoid having to remove or squash the insulation. We also install raised and suspended wood sub-frames that can raise or strengthen the existing ceiling to any height or to suspend a floor in your loft when the StoreFloor system will not fit. 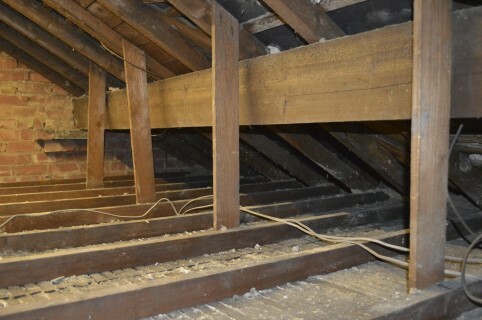 In some older properties we may require to suspend a timber sub-frame before any weight can be added to your loft. Fitting timber battens or cross fitting additional wood joists will not always do especially if the sub-frame being installed cannot be support. Installing a sub-frame directly to the existing joists without some additional support will not only cause problems in the future but will cause the extra load to be direct bearing down on your ceiling joists and this is not safe or good building practice. All newer style trussed roof properties can have LoftZone raised loft sub-frame and boarding installed directly providing we can fasten to at least 4" deep by 2" wide joists. On older houses we will have to install a suspended and support sub-frame using the internal walls and main purling's to hang the frame where it may put pressure on the existing ceiling joists. Its almost like a floating floor so this will avoid added weight on your existing ceiling which its not designed to take. We install loft light switches, bulbs and fluorescent tube light. We take loft safety very seriously so if you feel you need a little extra something just to help you get in and out of the loft don't' hesitate to ask. A grab rail is a great addition to any loft especially at the point at the top of the ladder where there is nothing else to hold on to. A simple grab rail will help you with your balance and make you feel allot safer getting in and out. We can provides any type or shape of working platform access in your loft. Old roofs that have not been re-roofed with felt or membrane are most prone to this as they still have the old mortar attached to them which use to seal the slates to the battens. This can be a real problem with your stored items as it can endlessly keep falling down and covering your possessions in old mortar and dust. You may want to use your loft for a little more than storage. A loft is a cold place in winter and a hot place in summer so the solutions is reflective thermal barrier fastened to your roof to deflect the cold and heat generated by you roof. The temperature deference between hottest and coldest in a loft can be huge, a thermal barrier like this one can reduce the extremes considerably to achieve a more stable loft temperature. You can even have simple timber frame work put up so you can have the same thermal reflective insulation wrapped around your loft to create a luxury storage room. Older properties suffer allot from cobwebs and cement constantly dropping from the roof especially if its never been re-roofed and this can make a real mess on top of your loft insulation or stored items. What we do at Loft Boarding NW is to clean out your loft get rid of the cobwebs and clutter so its nice and tidy and ready to turn in to a useable storage space. Also in some case if you apply to get new insulation through a government scheme the company installing the new insulation may request that the loft be cleaned out as they may refuse to lay down on top of old insulation. So not to worry we have specialist teams dedicated to clearing out lofts and preparing them ready for new insulation and or storage boarding. Even if you do not qualify for a FREE insulation scheme we will still insulate your loft fully or top-up services at a huge discounted price, so we can do the whole thing for you. We can even put up breathable roof lining to stop any further dust or cement dropping down. 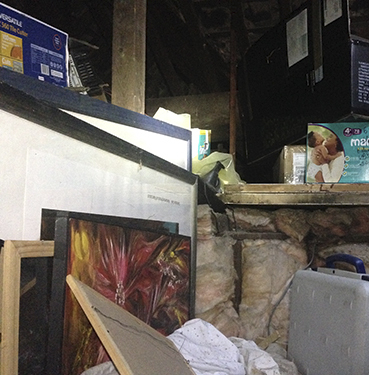 Over the years we store many things in our lofts, some things are long forgotten and never to be found again. So Loft Boarding NW are really good at helping you find all your long lost treasures by digging them out for you so you can have a good rummage through everything once again. Dispose of what you don't need and then we can put everything back in your loft nice and tidy. Maybe you've been thinking of getting your loft professional boarded out so you can store things properly but the thought of getting everything out of your loft for the work to be done is just not possible or you just don't have the time or inclination to spend all weekend doing it. We not only remove all the content of your loft for you to go through we can also get our specialist loft boarding team to come and install a professional built strong loft storage platform, light, ladder and alter you hatch in required and even increase your existing storage area.